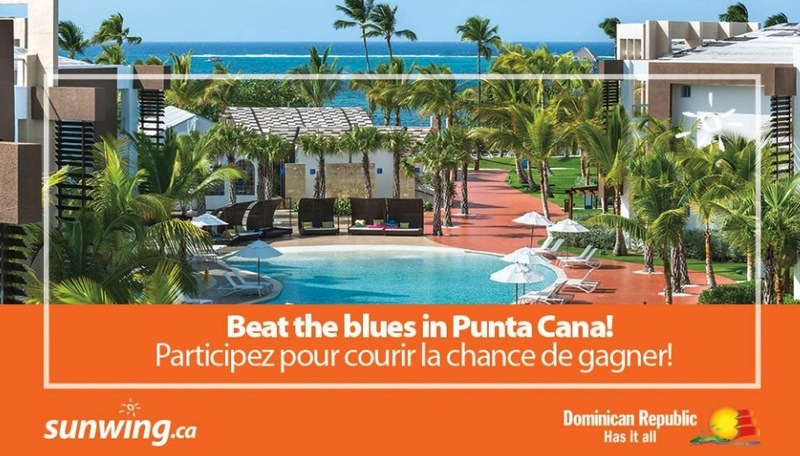 Enter the new Sunwing “Beat The Blues in Punta Cana!” for your chance to win a trip to BlueBay in Punta Cana, Dominican Republic. The contest in only open to legal residents of Canada, who have reached the age of majority or older. To enter the contest you need to visit the official Sunwing contest web page and fully complete the online entry form with all the required information including your full name, your email address, preferred gateway, and contact phone number. The entry for this contest ends on Friday, January 25 2019 at 11:59 pm EST. Winners to be selected in a random draw. Entry limited to one per person. - Roundtrip economy airfare for two persons to Punta Cana, Dominican Republic. - 7 nights accommodation at the BlueBay Grand Punta Cana. - All Inclusive meal plan. The draw to select the winner will take place on January 28 2019 at 10:00 am EST. The winner will be contacted by telephone and/or email.